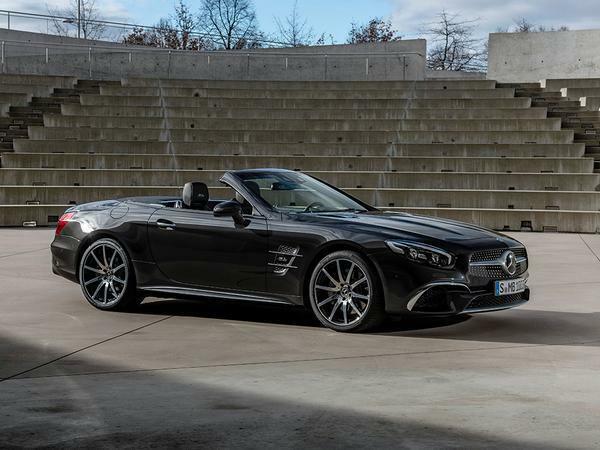 The Mercedes-Benz SLC will officially go out of production later this year after 23 years on sale, so to send the convertible off a new Final Edition has been launched. Although the SLC and preceding SLK never really lived up to the sporting potential of a two-seat drop-top (SLK55 AMG aside, perhaps), the model was a catalyst in boosting demand for comfortable and easy to drive roadsters at this end of the market. While sales were once strong - evident from the rather large number on the classifieds - in recent years demand has gradually fallen to a point that the SLC now plays an insignificant role amongst Mercedes’ hot-selling models. 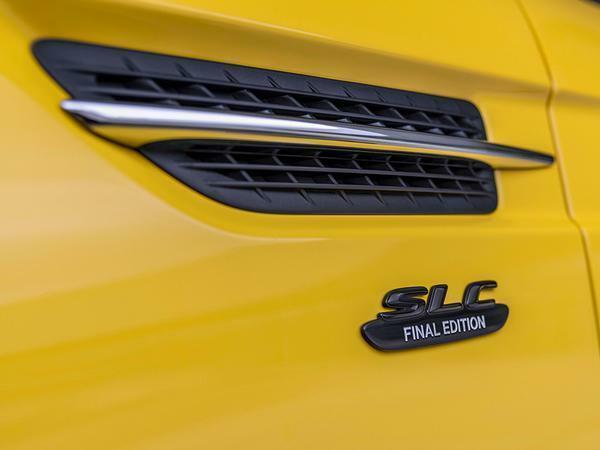 No replacement is due, so the SLC Final Edition really is the end of the road. For that reason, it comes in kitchen sink spec, wearing a long list of options and dressed in AMG Line trim only. 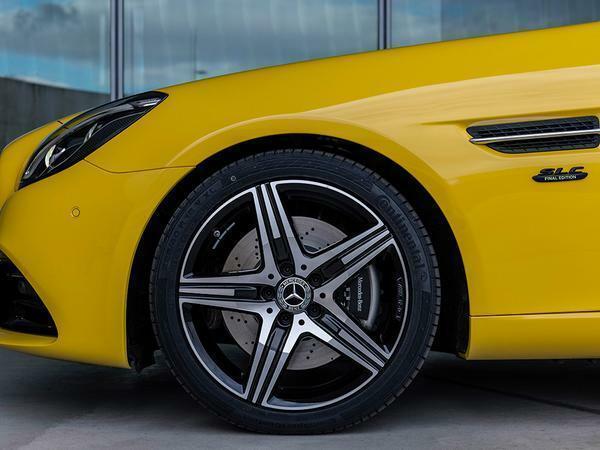 Just two colours are offered, black or yellow, with chrome trim accompanying the former and black the latter. 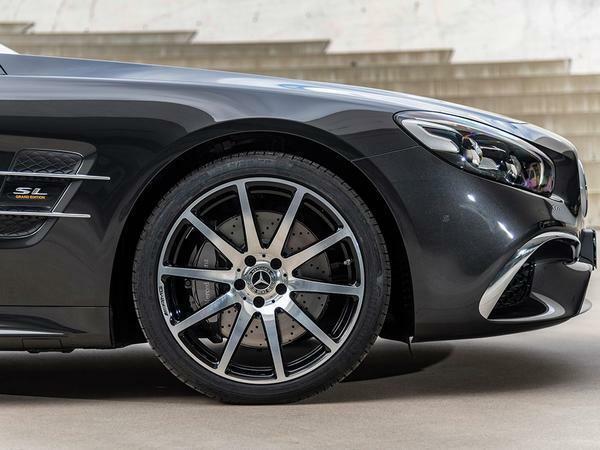 Both get the same AMG Line features, including more aggressive bumpers and 18-inch five-spoke AMG Light alloys, as well as larger brakes and 10mm lower springs – although the latter can be optioned-off if you prefer a softer ride. Inside is where the SLC really shows its age as the dash is clearly from Merc’s previous-generation line-up. But the Final Edition gets dressed-up with standard-fit sports seats that feature memory settings as standard and come wrapped in Nappa leather. There’s also a flat-bottomed AMG Line steering wheel, standard-fit air scarf heater hardware and some Final Edition badges. Despite the extra chintz, most Final Editions are likely to be ordered from the regular line-up of 180, 200 and 300 powertrains, all of which include turbocharged motors ranging from 1.6 to 2.0-litres in capacity and offer between 156hp and 245hp respectively. 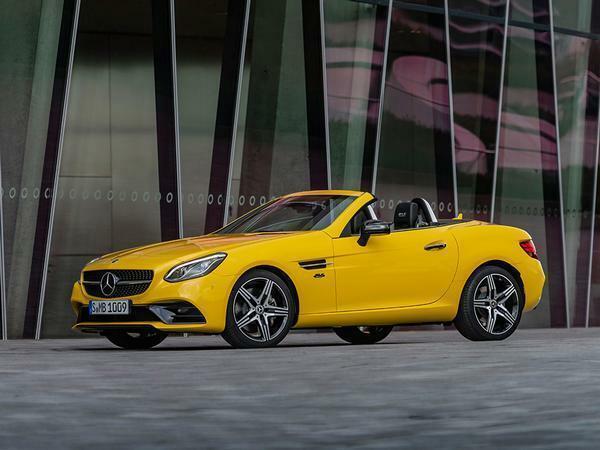 For those who prefer their drop-tops with something more closely resembling proper AMG performance, the Final Edition is also available in SLC 43 form, which brings the outgoing 3.0-litre V6 and its 390hp to enable a 4.7 second 0-62mph sprint time. And that’s it. Prices for the run-out model will be announced when it goes on sale next month, but expect a slight increase across the line-up compared with the regular car to reflect the higher base spec of Final Edition. 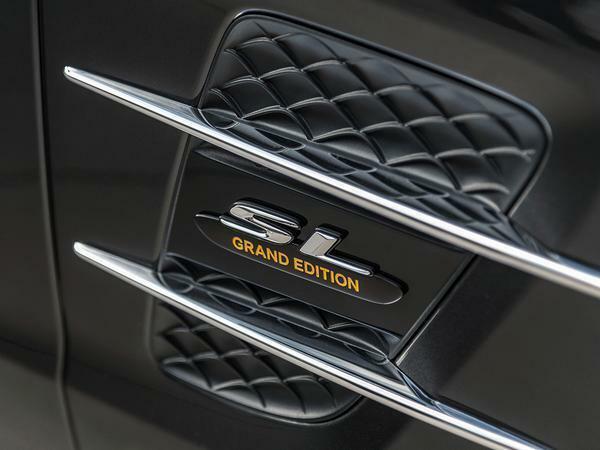 If that’s still too cheap, Merc’s also launching a new Grand Edition of the larger SL convertible. 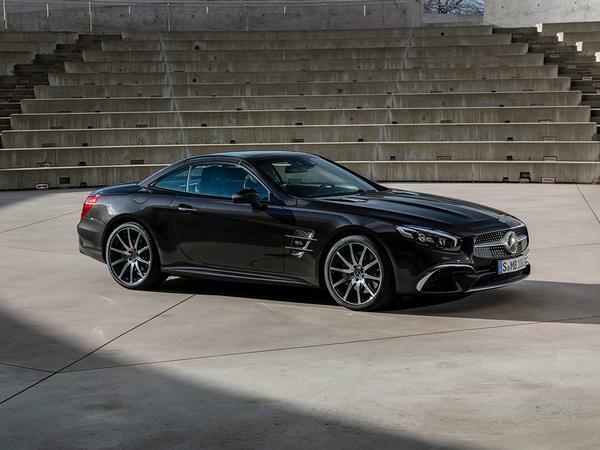 Unlike the SLC, the SL run-out, which comes in six-pot SL 400 and V8 SL 500 forms only, will be succeeded by a new model in 2020. 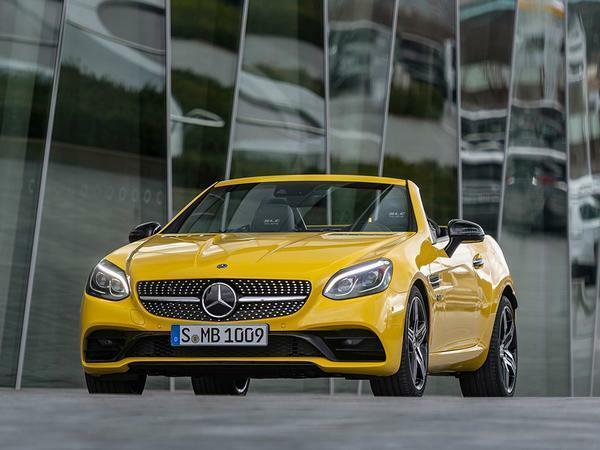 Demand for plusher drop-tops at that end of the market has remained much stronger, it seems. The SLC43 was a poor replacement for my V8 SLK55 which was a great car with more character than the 981 Porsche Boxster I have now. While it never handled like the Porsche the 421hp V8 always made me smile, it had fantastic brakes and was a great cruiser. All in all a fabulous all rounder. It's a real shame that this bracket of two seater sports cars is disappearing, soon we'll only have the MX5 (Fiat 124), BMW Z4 and Boxster, surely someone like McLaren could build a £40-£50k sports roadster and make it work. You're already down to the MX5 out of those two. Fiat withdrew the 124 from the UK last month while they resolve some compliance to the latest emission standards (allegedly). 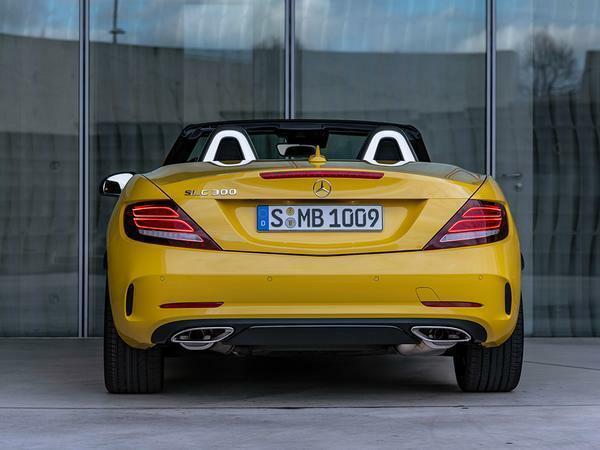 Isn't the yellow paint a homage to the original yellow SLK colour? Very nearly bought a secondhand SLK55 but ended with a Porsche instead. Maybe the death of the 55 was an indicator but its still a shame to see this model disappear. I suppose the Z4 and to a lesser extent the Boxster are the only convertibles left in this mid segment as the TT is due to die too. Its coming up to 5 years old and I cannot think what to replace it with at the moment... I suppose it will have to be a Z4 or Boxster with a flat 4.